Given as a gift. Recipient very pleased. Fossil's founding principal of bringing fashion and function together is visible in their unique styles. 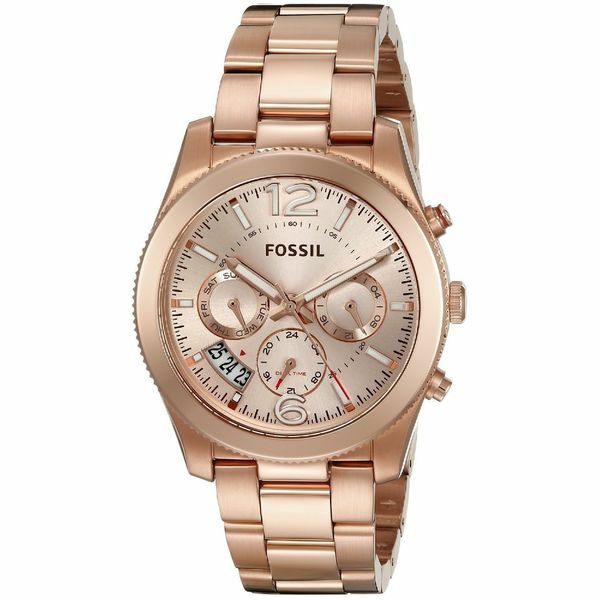 This women's watch from the Perfect Boyfriend collection features a rose-tone stainless steel bracelet and rose-tone multi-function dial. It's a woman's watch but it's built like a man's watch which works for me as i own men's watches too. I think it looks great and isn't too heavy. Bought it for my daughter and it is a flashy piece of jewelry to dress UP jeans and casual wear. She loved it! !